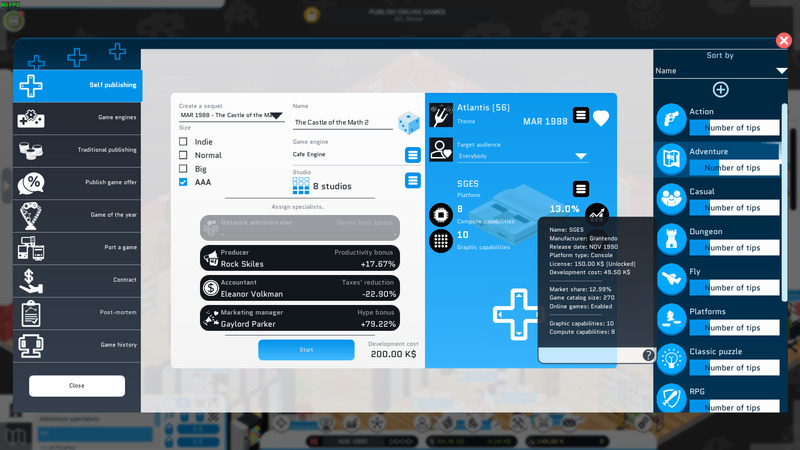 A game development tycoon mixed with a city builder. Get City Game Studio on steam now! 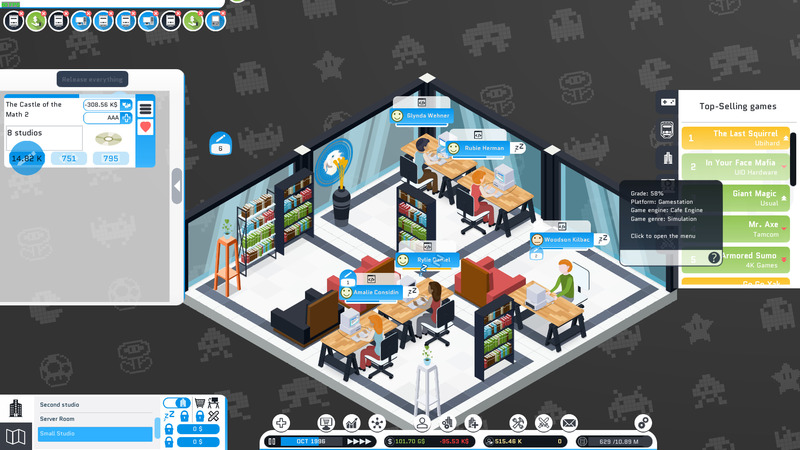 Build video games studio, research new technologies, create outstanding games in City Game Studio - A business tycoon game where you replay the history of the gaming industry. but it is up to you to cross the city to pick up your next local. In the blink of an eye you are hiring artists to improve the visual aspect of your games. Maps and studios are procedurally generated. Combined with random events and customizable studios, you will rediscover the game with each new game. 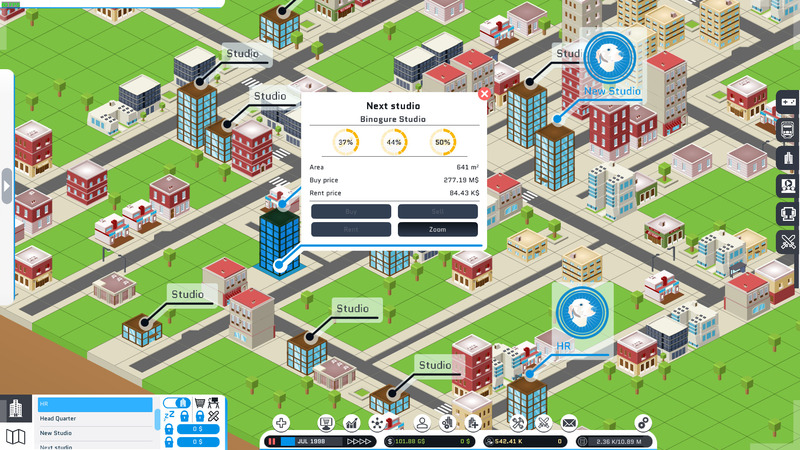 Browse the cities and choose the location of your next studio. As my uncle used to say "Honey catches more talents than vinegar !"